Sheri Stritof is a writer, beachcomber, mom, business owner, grandmother, and widow living on the coast of Southern Washington state coast. She is also a co-author of The Everything Great Marriage Book published by Adams Media. 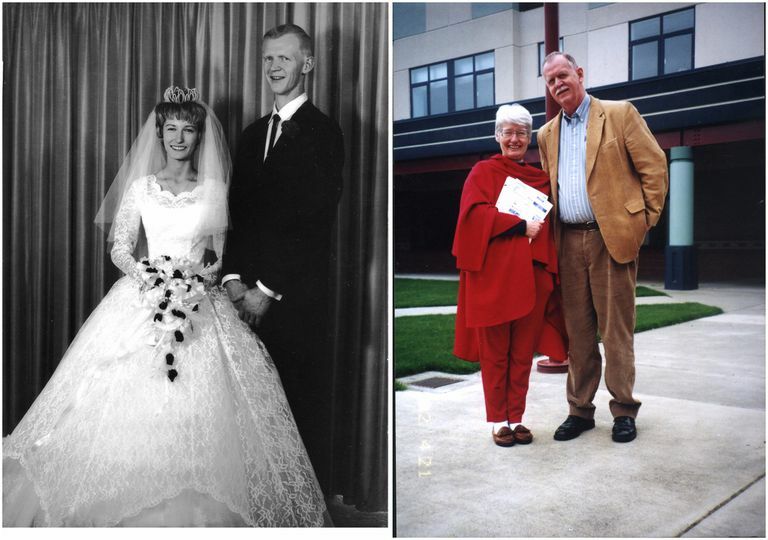 Sheri shares firsthand experience about being widowed since her husband of nearly 50 years, Bob Stritof, passed away from lung cancer in October 2013. Along with being a presenter on relationship focused workshops for nearly 40 years, Sheri wrote extensively about marriage for over 17 years, primarily as the Expert for Marriage here at About.com. Her work has been referenced in numerous books and major online and print publications including the WashingtonPost.com, The Queensland Sunday Mail, Republican Herald, Journal Gazette, Philly.com, WRAL.com, Chicago Sun Times, The Press-Enterprise, Athena Magazine, Men's Health Magazine, ChicagoTribune.com, Fort Worth Texas Magazine, Brisbane Sunday Mail, Bride's Magazine, and Tribune-Review. KMMT Radio, XM Radio, Wealthy Radio, HuffPost Live, The Greg Behrendt Television Show, Dublin FM98, and many local radio stations. After graduating from the University of Nevada at Las Vegas, Sheri received post-graduate training with a focus on family ministry at Regis College in Denver. The most frequent question I hear from widows and widowers is "What do I do now?" The answer to that question will be different for each of you because you all are unique and your journeys now that you are widowed will be yours alone. But, there are many similarities in this new phase of your life and I will try to help you navigate through it. My goal is to help you and those who love and support you find answers to your questions, give you encouragement, tips, and offer you suggestions to assist you as you cope with your grief and the numerous decisions and responsibilities you must deal with. My hope is to offer practical information, advice and support to those who have lost their life partner and to their families and friends who want to give them love and caring through this difficult journey. I can't give you an exact blueprint of what to do and when. I can give you help in what to expect of yourself, checklists, and advice as you walk this painful walk. I welcome your questions, suggestions, and comments, but please realize that I can't always provide a personal response (although I do my best). Contact me at sheri@stritof.com. Please contact Sheri at sheri@stritof.com for interviews and possible book or product reviews. Please note that while Sheri makes every effort to offer you common-sense advice and helpful, accurate information about being widowed on this website, she is not an attorney, doctor, or counselor. Her advice and articles on the site are not to be construed as legal or medical advice. Additionally, laws vary based on location, so before making any final decisions, travel plans, etc. relating to your specific situation, please consult with government resources and/or legal and medical professionals. The information on this site is for ideas, support, guidance, and assistance only.